The first school to be built in Pomona was the Government Industrial Boy’s School. The Industrial School concept floated about for close to twenty years but the school was not opened until 1928 in Pomona. The reform school took on more of an agricultural focus and the students were producing sugar from the time the school was started. The school's headmaster was Mr. Robert Ernest Belisle. He was born in British Honduras and was a citrus farmer who was an expert in the bud and grass technique before turning a teacher. He was the brother-in-law to Dr. Smith Osborne Browne. ​The Industrial School was instrumental in producing budded citrus plants for the infant citrus industry. 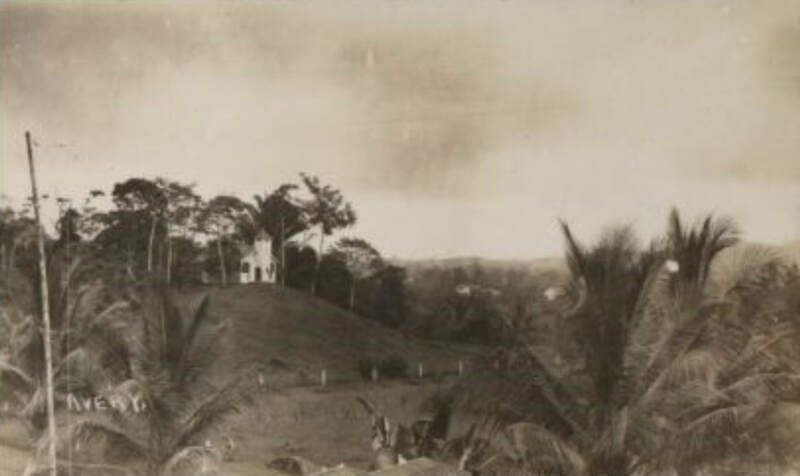 In 1931 the school hosted Mr. Griffith Greenwich Robert (G.G.R) Sharp on his visit to investigate the possibility of investing in citrus in Belize. Mr. Sharp eventually contracted the school to pack his first shipments of fruit for export. The school was closed in 1939 and transferred to Airport Camp, Ladyville. After this, the school was moved to Baking Pot, Cayo, and became the Listowel Boys Correctional School. The boys from this school were instrumental in assisting to build the Octavia Waight Center in 1986. Holy Angels R.C. school with the omnipresent Macaroni Hill in the background. Agricultural expansion brought more residents to the area soon there was need for a primary school in the area. In the 1930’s St. Matthews Anglican School and Church was established to serve students and persons who worked in the citrus industry. 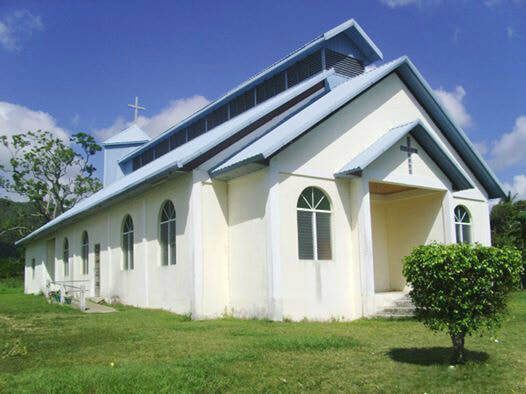 A wooden church was first constructed on a hill near Industrial Boys School and a second wooden structure was later erected at the present site of St. Matthews Anglican Church. This church was famous for its bell tower and bell. The bell tower constructed in the late 1930's is one of the oldest structures in the Valley. Where the bell is, is a mystery. The first student to be admitted to the register at St. Matthew's Anglican School was Mr. Claude Arthurs. In 1961 the school was destroyed by Hurricane Hattie, the church survived. The school was rebuilt and many principals and teachers and their families spent part on their lives in this beautiful part of Belize. A rectory was built near the school and it was home persons such as Father Sealy. The school building was demolished in 1993 due to deterioration. In 1994 the school was replaced with the two concrete structures presently seen. Holy Angels Roman Catholic Church and School was established in 1951. In 2012, as a show of appreciation to benefactor William Henry Bowman for the ​decades of involvement with the school a building was named as the William Bowman Building. Holy Angels is the largest school in the area. ​In 1953 the Jesuit-run Lynam Agricultural College opened its doors. The school was opened in Dangriga town and in 1958 the school was re-located at the southern end of the valley on the Canada Hill Road. 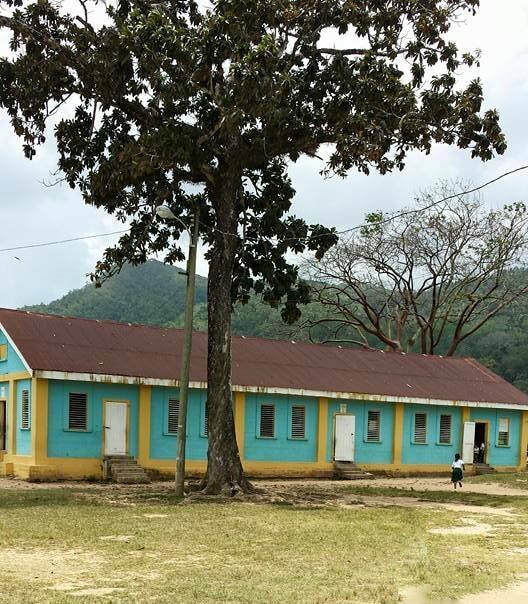 This school got its name from Father Lynam, a Belgian, who in the early 1900's pastored the Roman Catholic School in Stann Creek Town operated by sisters of the Holy Family from New Orleans. In its zenith from the mid 1960’s to its closure, Lynam Agricultural College controlled over 2,200 acres of land and hosted 150 students. Lynam was an international school having students from all districts of Belize and from far away as Honduras, Guatemala and the United States. 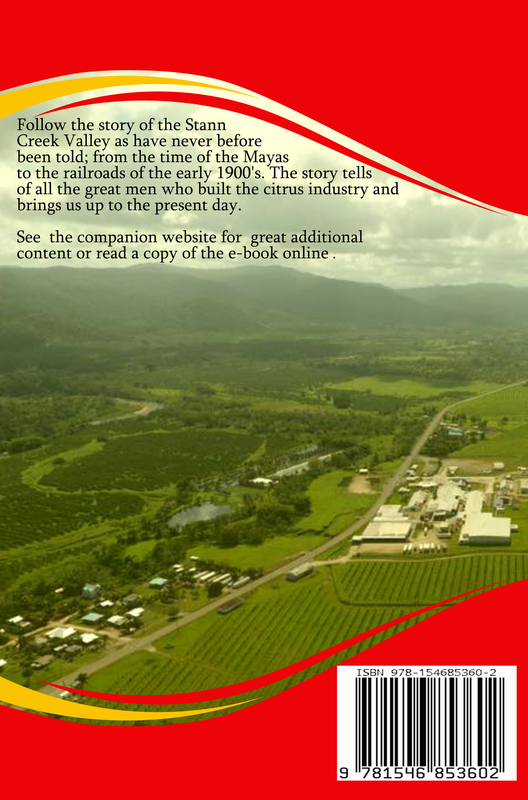 Its production at that time were 100 acres of corn which was rotated with 100 acres of beans, 75 acres of oranges, and 25 acres of grapefruit. The school had 200 acres of pasture, 150 heads of Brahman cattle, and 200 pigs. It even had its own combine harvester for corn and beans. At this time Lynam had achieved food sovereignty and food security. All the students and livestock were fed year round. Lynam was way ahead of its time and was a leading light for the Stann Creek District and the country of Belize. 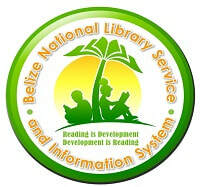 There are many reasons as to why the school was closed down, but since then, Belize has not even gotten close to sustaining its population with food even with all the fertile lands in our country. Many heart felt poems and reflections were written by its former alumni attesting to a time of glory and the urgent need for our country to get back on the path to feeding itself. Lynam's school motto was " GIVE ME A BOY, AND I'LL GIVE YOU A MAN". Lynam Agricultural College produced some brilliant men, a few of which include, some former ministers of government including Melvin Hulse, Russel “Chiste” Garcia, (deceased), former Senator Anthony Chanona, and Honorable Rene Montero. The ability to grow their own food lead many of Lynam's graduates to become leaders and independent thinkers. The college was closed down in 1971. In the mid 1970's the six-time area representative for the Stann Creek West Division David McCoy converted the area into the maximum security prison called Lynam Prison. Inmates were relocated to Hattieville Prison in 1993 when the construction of the penitentiary still not fully complete. In 2002 the name was changed to Kolbe Foundation. In 1994 the former Lynam Agricultural College reopened as The Agriculture and Natural Resources Institute (ANRI) by then Minister of Agriculture Russell Garcia. It received new school buildings at the foot of the hill in 2004. During the 2015-2016 school year statistics from the Ministry of Education Policy and Planning Unit showed a register of 72 students. ​In 2003 the government phased out the Center for Employment Training (C-E-T) throughout the country and replaced them with Technical and Vocational Institutes. A new building was constructed in Hope Creek where the Old Melinda Forest Station was for the Stann Creek Technical and Vocational Institute (ITVET) which opened in 2006. During the 2015-2016 school year it had 73 students enrolled. Besides the schools mentioned, there are 3 other primary schools in the valley, St Augustine Roman Catholic in Middlesex, Light of the Valley Baptist in Valley Community, and Hope Creek Government School as well as several preschools. 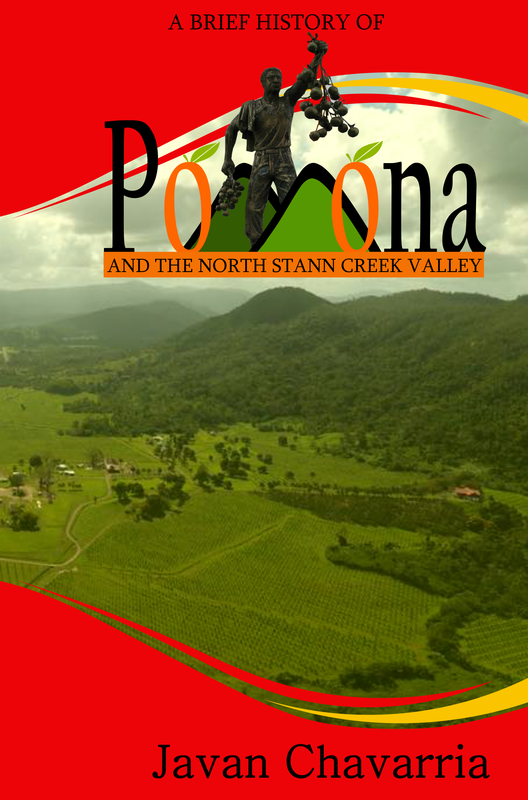 In the 2015 to 2016 school year there were 1,290 primary school students enrolled in schools in the Stann Creek Valley Area. ​The area showed a strikingly high male to female primary school enrollment ratio of 1.20 : 1 as compared to the national average of 1.07 : 1. Most of the high school and junior college students attend the different schools in Dangriga. Students at all levels are transported to school in government contracted buses.